Lahore, Punjab Public Service Commission has already conducted the written test for PPSC Statistical Officer 2019 in Planning and Development department on 10-3-2019. 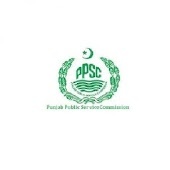 PPSC has declared their PPSC Statistical officer written exams 2019 result. The candidates will find their names in the PPSC statistical officer 2019 written test result and they will appear for interview. The call up letters for interview will be uploaded on the website and the candidates will download it to appear in the PPSC Statistical Officer interview 2019.